the cheel is all about the authentic flavors and ancient food preparation techniques of Nepal. Led by owners Barkha and Jesse Daily, both of whom grew up cooking with their families from a very young age - Barkha in Kathmandu, Jesse in Idaho - the cheel is a place for food adventurers, enthusiasts, and aficionados willing to try new things. At the heart of the menu are “tidbits” or small plates that feature momos, delicate and savory dumplings served with crisp, spicy dipping sauces or aachars. 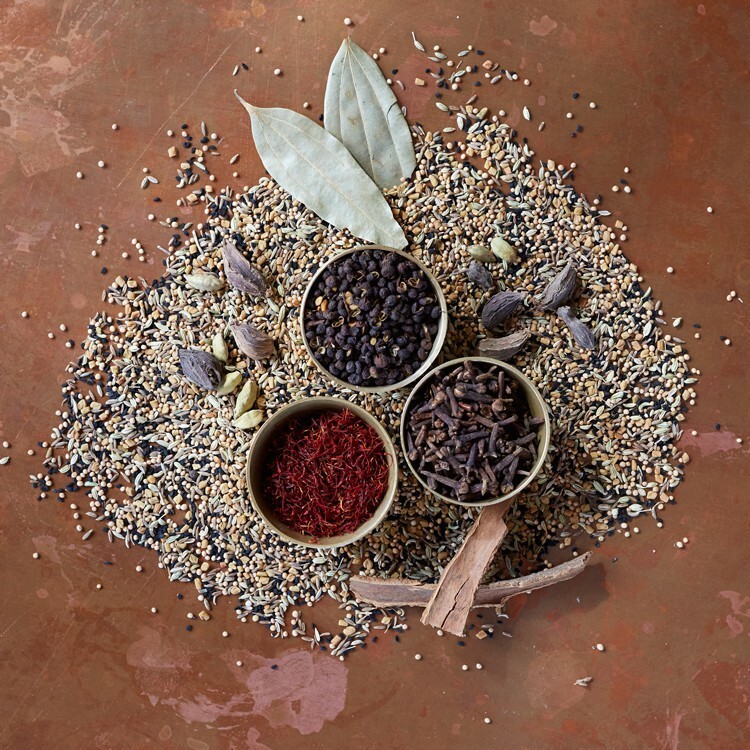 Tamarind, ginger, sesame, timur, jimbu, cumin, mustards, saffron, chili pepper, garlic – these are the heritage ingredients that impart their distinctive tang. Did we mention cilantro, lemon, and lime? Thali, or feast, is a traditional Nepalese dinner of flavor-infused and lightly grilled vegetables, marinated lamb or wild boar, rice and lentils. Soups, salads, sides, and dal, are here too, all with a Kathmandu spice-route inspired spin. the cheel is located in downtown Thiensville in a rare 1890's Victorian landmark that has been lovingly restored and re-imagined. The eclectic décor including an original art deco bar, high tops and banquets, and covered 4-season outdoor patio, is suffused with a contemporary Asian feel and metallic accents. Enjoy any of our sassy-crafty cocktails, our nod to our building’s storied past, made with house infused liquors, fresh pressed juices and exquisite bitters, or choose from a great variety of wine, beer, and non-alcoholic libations. Quench your thirst for food adventure, taste the heat and feel our passion, for serving up a unique and convivial dining experience where you can relax and just "cheel out." Our authentic Nepali dishes, unchanged for centuries in their ingredients and preparation techniques, are offered as “tidbits” or small plates of momos and aachars. Traditional dishes such as Thali and dal are offered as “bigbits” or sides along with familiar American fare glammed up with a decided Kathmandu-kick. We hope you enjoy these rustic delights and American standards, all scratch-crafted to take your taste buds to new heights. 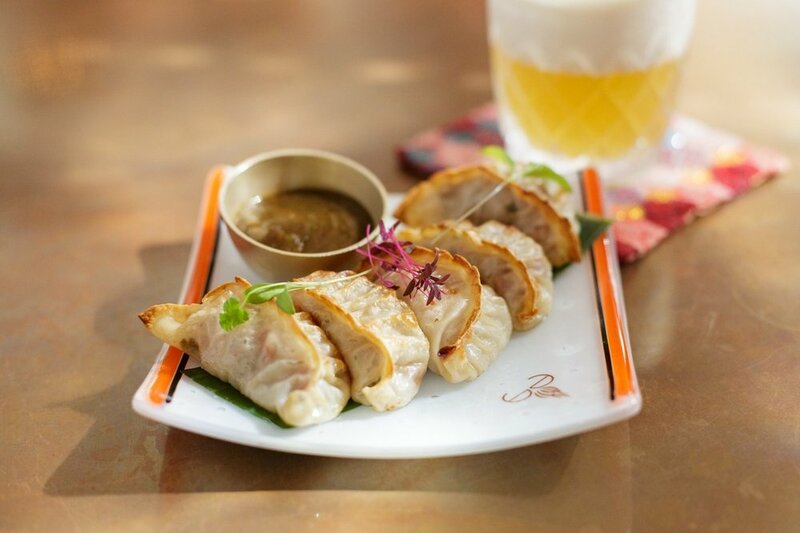 Savory dumplings with ginger, red onion, and fresh herbs, wrapped in a delicate flour dough. Choose to have them steamed, baked, or fried. Served with classic aachar. *five per order. Our grilled eggplant, smashed then simmered with onion, tomatoes, garlic, & ginger. Topped with crispy flattened rice, & cilantro. Served with our house chips. *gf chips available upon request. Light pastry filled with seasonal vegetables topped with parmesan cheese. Served with creamy aachar. *4 per order. Fermented tea leaf salad tossed with cabbage, onion, garlic, ginger, tomatoes, toasted sesame, toasted peanuts, crispy lentils, lime, & cilantro. Burmese chickpea gyaw is crispy on the outside & creamy on the inside. Served with tangy tamarind aachar. Braised duck or Burmese tofu served with endive spears, goat cheese, lentil fritters & tangy tamarind aachar. Tender, juicy meatballs of lamb, onion, & ginger in a crispy layer of peanuts, panko, and parmesan cheese. Served with tangy tamarind aachar. *5 per order. Strauss lamb shank braised with garlic, ginger, onion, cinnamon, cloves, cardamom, cumin, & coriander. Served with rice & cauliflower tarkari. Wild boar shoulder braised then simmered with warm Himalayan spices such as cinnamon, nutmeg, & black cardamom. Served over saffron basmati rice with yellow dal. Garlic & ginger marinated chicken legs & thighs simmered with onion, tomatoes, fenugreek & freshly ground coriander. Served with saffron basmati rice & choice of dal. Grilled chicken thigh rubbed with Himalayan spices topped with sautéed shiitake mushrooms, variety of bell peppers, onion, bleu cheese & 5-spice mayo served on toasted bun. Served with a choice of sidebit. Tamarind-glazed grilled fresh salmon served with saffron basmati rice, mango aachar, & grilled asparagus. Half rack of baby-back pork ribs glazed with 5-spice bbq. Served with saffron basmati rice & cauliflower tarkari. Served with saffron basmati risotto & grilled asparagus. Handmade lamb patty with garlic, onion, cinnamon, black caraway, 5 spice mayo, lettuce & tomato. Served with your choice of sidebit. Crispy Burmese tofu tossed in sesame oil & soy sauce. Topped with gouda, spring mix, raw onion, Himalayan 5-spice mayo & toasted sesame on parmesan panini bread. Handmade lamb meatballs fried and baked and topped with a tomato & onion sauce, bacon, gouda cheese, & Himalayan 5-spice mayo. Served with your choice of sidebit. American classic served with thick bacon, lettuce, heirloom tomato, & Himalayan 5-spice mayo on toasted panini bread with your choice of sidebit. Traditional Bhutanese soup made of creamy brie cheese soup with shiitake mushrooms, onions, potatoes, & peppers. Served with tingmo (Tibetan steamed bun). Traditional Burmese lentil & chicken soup over brown rice noodles with lemon grass essence. Served with an array of garnishes & sinche aachar. Traditional Nepalese meal with choice of lentil soup and saffron basmati rice. Served with classic aachar. Creamy and light chowder made with a variety of seasonal fish, bacon, potatoes, & Himalayan spices such as bay leaves, turmeric, mustard seed, anise, fennel, paprika, & more. Soft bean noodles marinated in olive oil with ginger, garlic, & fresh herbs, topped with egg crepe slices & toasted peanuts. Classic salad with mixed greens, cucumber, radish, heirloom tomatoes, Burmese soy-free tofu, eggs, & crumbled bleu cheese; tossed with rice wine vinaigrette. Topped with shredded parmesan. House-made chicken tenders dipped in our besan batter and fried. Choice of sidebit. Medium sharp cheddar cheese on Panini bread toasted with ghew. Choice of sidebit. Gouda and cheddar blend made to order with saffron basmati rice, heavy cream & ghew. Choice of sidebit. ½ of the flavorful mount b.l.t. Choice of sidebit. Four tender, savory lamb meatballs with onion & garlic rolled in a crispy layer of peanuts, panko, & parmesan cheese. Served with tangy tamarind aachar. Choice of sidebit. Burmese dish with sautéed soft bean noodles, green & red peppers, shiitake mushrooms, onion, ginger, egg crêpe, & besan gyaw in sesame oil. Topped with toasted peanuts & cilantro. 10 Tibetan dumplings with choice of 2 sides. Served with a classic aachar. Made from scratch Nepalese fried flatbread: Choose from wild boar, meagre (fish), paneer (cheese), or besan gyaw (tofu). Topped with classic 2, mango aachar, creamy aachar, diced onion, Nepalese slaw & cilantro microgreen. Choice of sidebit. Wine down ALL DAY w/ special deals on wines by the glass and/or bottle. Camel Sliders - Ground camel meat from Australia marinated in garlic, balsamic, honey, & tarragon. Served with spiced remoulade, sauteed leeks & jarlsberg cheese. Join us for a international food & libation journey! Award-winning fresh meagre lightly fried in a chickpea & rice flour gluten-free batter. Served with golden raisin slaw with red & green cabbage & side of house-made tartar. Available while supplies last. Fresh seafood selections from all over the world. Each week is a different feature! cheelabration 2019 - (5yrs!) - Saturday, July 27th @ Noon - Midnight! 5th Annual Celebration @ the cheel featuring Amazing Food, Live Music, Games and much more! Join us for this day-long, fully-tented, outdoor, family-friendly, community-wide benefit event to celebrate with us! the cheel has been listed by Travel Wisconsin as one of the seven destination restaurants in all of Wisconsin. "The cheel definitely embodies and exemplifies my passion for delicious food, especially when it's made with high quality ingredients," says Chef Barkha Limbu Daily, "The restaurant prepares every dish from scratch. When Barkha Limbu Daily left her home in Nepal to come to Wisconsin in 2003, her only idea of America was from movies. Attending Lakeland College, she was the first in her family to come to the United States for school. She loved the school but missed the foods from home. When Barkha Limbu Daily arrived at Lakeland College from Kathmandu, Nepal, more than a decade ago, she quickly discovered a great way to make friends. Thiensville probably isn’t your first thought when it comes to the Wisconsin food scene, but if Barkha Daily has her way, that will change. When ordering a cocktail in years past, most of us had one requirement; it simply needed to taste good. Now, since the resurgence of craft cocktails, we are starting to expect more. A Spanish restaurant, a Nepali restaurant. Restaurants where diners can start their day, and a restaurant where diners can end it with a midnight snack — or an entire dinner. A Nepali restaurant in Thiensville? I heard that more times than I could keep straight after the Cheel opened in summer in the little village's downtown. Everyone was expecting German, maybe? Reminder: The Cheel, a restaurant serving Nepalese fare and other food from the region around the Himalayas as well as American plates, will celebrate its grand opening this weekend in Thiensville. The Cheel, a restaurant specializing in Himalayan fare, will open this weekend on the southwest corner of Buntrock Avenue and South Main Street in Thiensville. Currently, the building at 105 S. Main St. in Thiensville, is under construction. Paper covers the windows, which are etched with the message: "Cheel out… we're coming soon." A restaurant serving dishes from the Himalayas is due in July in Thiensville, apparently the only such brick-and-mortar restaurant in the Milwaukee area. A local woman spent Saturday morning desperately trying to reach her family members -- many of whom live in the area hardest hit by the Nepal earthquake. Five of the best chefs in Milwaukee, WI, compete in a French restaurant. Sign-Up to receive "Snipbits", our newsy email announcements and updates on events and happenings at the cheel. © 2018 thecheel. thecheel Name And Logo Are Trademarks Of thecheel llc. Reserved Design by Barkha Limbu Daily and Edited by Avinash Limbu.